The open air engravings have managed to survive thanks to the extremely low erosion rates produced by the hardness of the rock combined with the local climate. The petroglyphs have been dated using the isotope beryllium-10. Based on current evidence, the archaeologists say, the occupation of the peninsula cannot be dated to before c. 42,000 years ago. Many details surrounding the origins of the peoples of Oceania remain to be resolved, and as a step towards this we report seven new complete mitochondrial genomes from the Q2a haplogroup, from Papua New Guinea, Fiji and Kiribati. This brings the total to eleven Q2 genomes now available. The Q haplogroup (that includes Q2) is an old and diverse lineage in Near Oceania, and is reasonably common; within our sample set of 430, 97 are of the Q haplogroup. However, only 8 are Q2, and we report 7 here. The tree with all complete Q genomes is proven to be minimal. The dating estimate for the origin of Q2 (around 35 Kya) reinforces the understanding that humans have been in Near Oceania for tens of thousands of years; nevertheless the Polynesian maternal haplogroups remain distinctive. 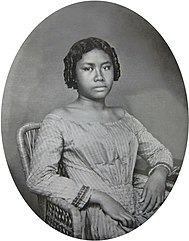 A major focus now, with regard to Polynesian ancestry, is to address the differences and timing of the ‘Melanesian’ contribution to the maternal and paternal lineages as people moved further and further into Remote Oceania. Input from other fields such as anthropology, history and linguistics is required for a better understanding and interpretation of the genetic data. Figure 2. Overview of the Q haplogroup. mutations) by using the techniques in Pierson et al. . Differences in branching between the four equally parsimonious trees occur in the Q3 subgroup. That si Nukuleka, Tonga, and translates as 888±8 BCE (remember that BP means “before 1950”). 2838±8 BP and documenting site development over the ensuing 250 years. Very handy after the recent endless circular discussions. Polynesians this? Polynesians that? Polynesians only since 890 BCE, not before! Earlier related cultures of Lapita were not yet Polynesians but generically Oceanic and mostly of Melanesian stock. the earliest for any Lapita site in Polynesia (Table S1). in West Polynesia where these early ceramics occur . temper sands and sherd geochemistry . Peninsula during the 200–250 year period of Lapita occupation . 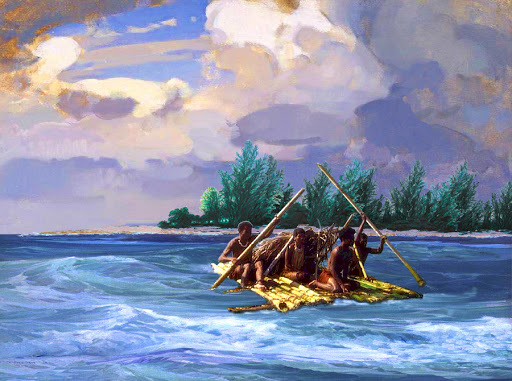 Nukuleka became a central place for Lapita peoples in West Polynesia as well as a gateway community for expanded settlement. So it is very likely that the somewhat famed founder effects of Polynesians peoples (Y-DNA C2a and O3a2, mtDNA B4a1a1) were dominant already at this site in this date. However I must say that a second founder effect at nearby Samoa (not considered here), which has a much more similar Y-DNA to Eastern Polynesia, can be taken for granted also. The genetic and phenotype complexity of the Oceanic language area. Hawaiian genetic study shows 2-1 Asian-Melanesian admixture in Polynesians. The Cham People and why the genetic structure of SE Asia is mostly not the product of Austronesian expansion. Genetics of Batanic language speakers.